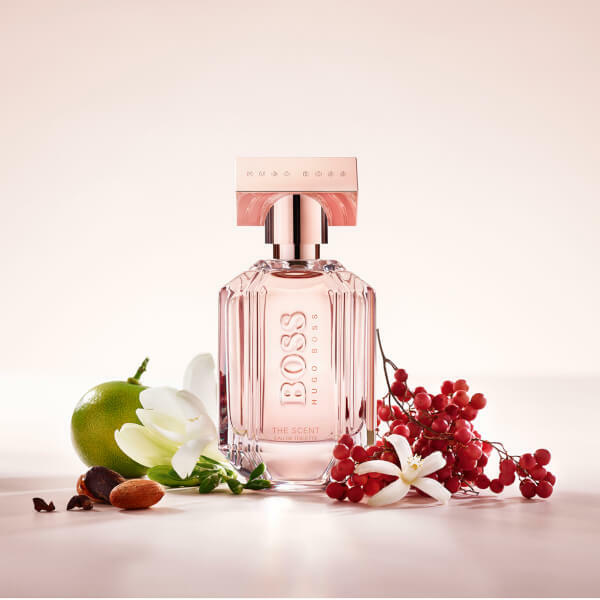 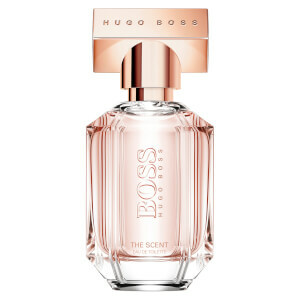 Entice your desires with The Scent for Her Eau de Toilette from Hugo Boss; a seductive fragrance that exudes a sublime feminine elegance, warmth and mystique that unfolds gradually over time. 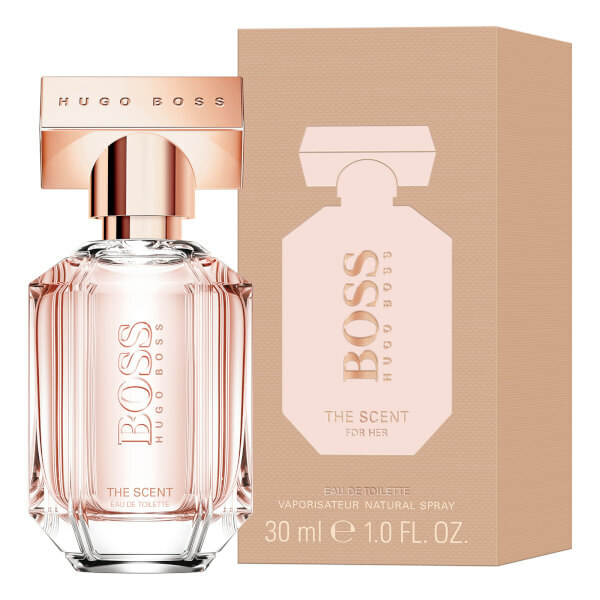 Fruity and floral Honeyed Peach and a bouquet of Freesia meet in the top note, drawing the senses in with a delicate and sensual opening for the warm and voluptuous heart notes of Osmanthus, an oriental flower that unveils an irresistible olfactory blend of ripe apricots, jasmine petals and virile leather. Unleashing the unexpected, the scent develops into a rich base note of Roasted Cocoa that lingers for lasting arousal of the senses.